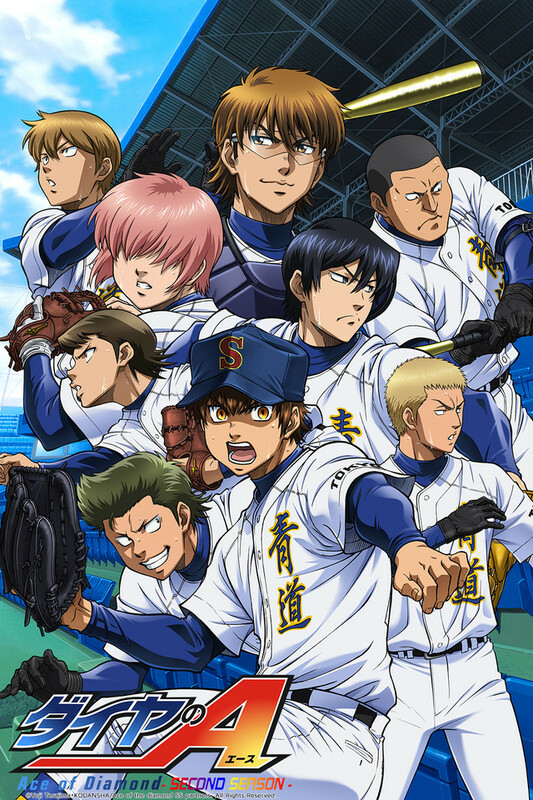 This show is one of the best sports anime worth watching, I for one really don't like baseball but i gave it a try and out of astonishment it was well worth it, so you probably wont be disappointed. Hands down Amazing!!!! Huge fan of Base Ball. Huge-r Fan of this Anime! I played baseball in high school and as a kid. I love how they use the Base Ball lingo and the first episode! SO epic! I would cry in that situation too! Anyway i'm very excited to see more of this anime. Cant wait to see all the different personality and how it will effect the positions they play in. That pink haired guy reminds me of the girl from Gorilaz. lol this is awesome i even want to see more and more, omfg this is a good anime and wow who ever made this must be a pro and genius.I love this made who made this anime :3 and why i need to write longer review? If you're a fan of sports anime, or even regular anime this is a really good one to choose. Its got a great balance of comedy, rivalry, and moments where you're on the edge of your chair waiting to see what happens. Also the openings got a catchy beat. As a sport anime fan i can say that this anime has not disappointed me, I can relate to the main character since all he wants to do is become an ace pitcher but doesn't want to sacrifice his friends for it and wishes to become an ace player along with them. In short this anime is great, I would recommended you to watch it. This anime is so exciting and full of action and emotion at the same time. There have been a lot of sports animes that have the same type of this anime. However, this anime is even way more than that. This anime will make you addicted to it from the beginning of the first episode. This is my first time I have ever seen an anime doing that to me personally. If you don't like my review, at least consider this anime. You guys will love it whether you are sports anime type of guys or not. YOU WILL LOVE IT. Ace of Diamond is good fun! At first I wasn't sure how I was going to like this. It still seems like a Naruto type anime. Where the main character is dumb but has a lot of potential. However, all the characters around the main character help to keep it interesting. This has become one of my favorites and a must watch each week.